BATES HUNTER JUMPER CAIR LIMITED 17"
Home / BATES HUNTER JUMPER CAIR LIMITED 17"
LIMITED EDITION Bates Smooth Leather Hunter Jumper Saddle in Newmarket - Plus FREE 54" Matching Stirrup Leathers. Performance driven hunter jumper saddle. Supportive seat aids a correct and powerful position over jumps. Maximizes freedom of movement and comfort for your horse. 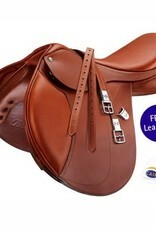 Feather include short triple girth points and adjustable flexi bloc system. Features the CAIR air panels that will revolutionize the way your horse feels the weight on its back, cushioning the saddle with air to evenly distribute the rider's weight, virtually eliminating pressure points and discomfort. What really makes this a hit is not just that it's comfortable, but the Easy-Change gullet system keeps this saddle around even after you've changed or outgrown your horse. 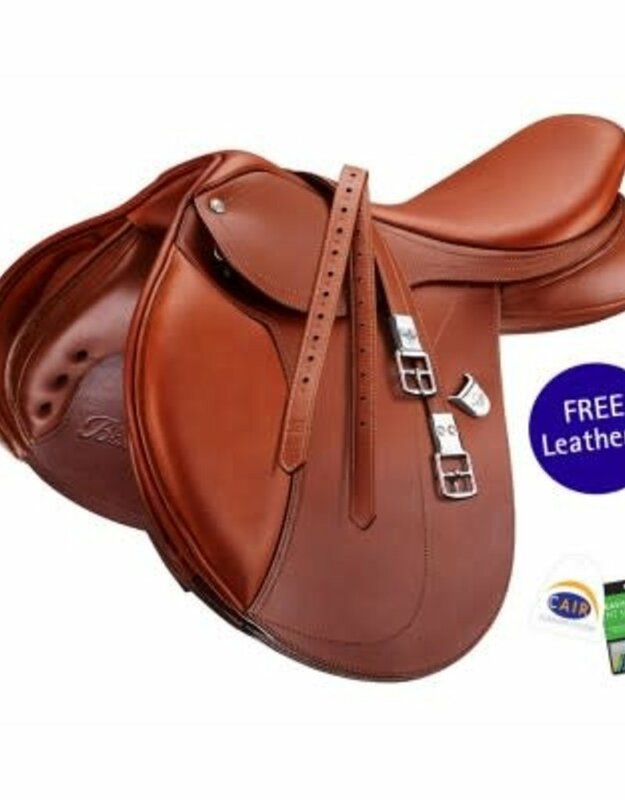 All Bates saddles include the following innovative features: the CAIR Panel System, the EASY-CHANGE Gullet System (medium gullet fitted as standard), an Elastiflex tree, adjustable Flexi blocs and pure Aniline dyed, naturally finished hand selected leathers. Revolutionary air panel system evenly distributes weight across the entire length of the panel, virtually eliminating pressure points. CAIR air panels fluidly adjust with the horses muscle movement. It allows better performance which allows better movement for the horse. It provides shock and impact adsorption. Saddle comes with a medium gullet. Gullet change system sold separately.